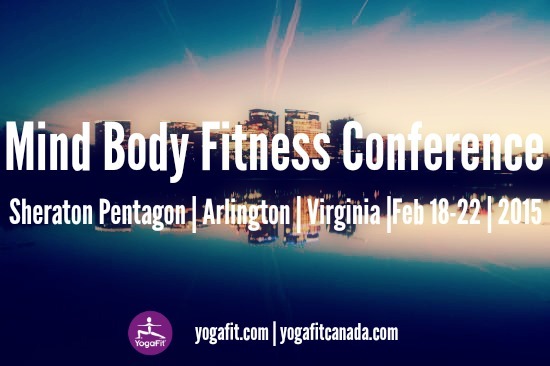 YogaFit | YogaLean | EMC Media Inc.
Los Angeles, February 4, 2015 — Beginning February 18th, yogis from around the world will congregate in Arlington, Virginia for YogaFit’s International Mind Body Fitness Conference. Over the course of 4 days, women and men will learn expert yoga techniques, how to integrate mind body wellness into their day to day lives, and build the necessary foundation of yogi knowledge and principles to take home with them. The Arlington Mind Body Fitness conference is one of the most well attended YogaFit confer- ences in the nation. Because Yoga Alliance - the largest nonprofit association representing the yoga community - is headquartered within the city limits, the city itself is a hub for fitness-con- scious individuals. Over the weekend, Arlington, VA will come to life, leaving attendees re- freshed, upbeat, and motivated to live healthier lives. For four days, conference attendees will have the opportunity to deepen their yoga practice and learn how to live a holistic lifestyle through mind-body awareness. Yoga enthusiasts of all levels are encouraged to register and attend. New this year, YogaFit conferences will now integrate a 2-day YogaLean program into the schedule. 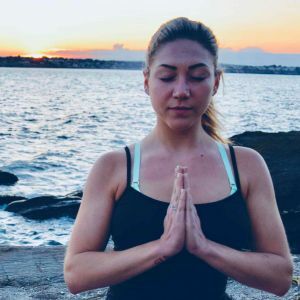 Based off of Beth Shaw’s latest book, YogaLean, recently released by Random House, attendees will learn first-hand how to integrate yoga, nutrition, meditation, and mindfulness for a holistic approach to healthy living. This class is designed for anyone interested in weight loss through yoga. Losing weight is a transformational process that involves the mind, body and spirit. YogaLean is a program de- signed to work from the inside out, drawing from the self-inquiry of yoga philosophy to take into account every student’s unique story, customizing a program that fits their lifestyle, and empha- sizing the yogic practices of breathing, meditation, and mindfulness. Click here to watch a recap of last month’s YogaLean Retreat. 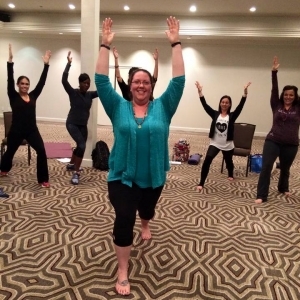 YogaFit’s International Mind Body Fitness (MBF) Conferences are open to yoga enthusiasts of any age, as well as instructors and teacher trainees, allowing individuals to earn continuing edu- cation credits (CECs). Individuals will learn how to apply a combination of pranayama, medita- tion, and restorative postures with minimal propping and essential oils to create desired healing outcomes. Visit www.YogaFit.com to find out more and register for a conference near you. We hope to see you in Arlington on January 19th! For registration and schedule inquiries, please contact Jenny Baldwin at jenny@yogafit.com. If you would like to access media passes in order to cover this event, please contact Jordan Reed at jordan@yogafit.com. YogaFit® Training Systems Worldwide was established in 1994 and has since trained more than 250,000 yoga and fitness professionals worldwide. The leader in mind body fitness education, YogaFit® is the largest training school for yoga instructors in North America with further expan- sion ongoing internationally. 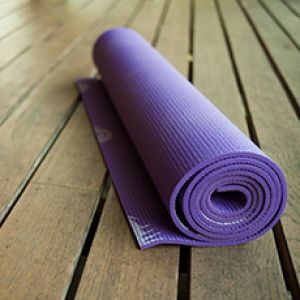 YogaFit® is the American Council on Exercise’s (ACE) premier and only yoga partner. Founder and President Beth Shaw is internationally recognized as the foremost authority on yoga and fitness and has been profiled in print publications and television programs including the Huffington Post, Wall Street Journal, Oprah’s O Magazine, CNN, The New York Times, USA Today, Entrepreneur, SELF and is currently a New Business Group Member of the New York Times. 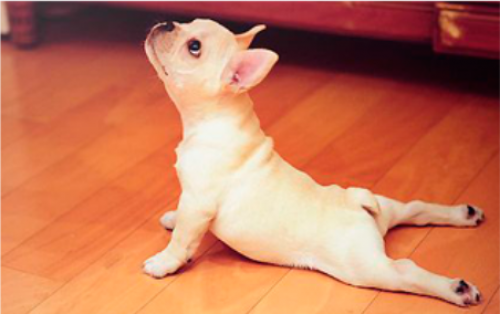 YogaFit® is committed to community service as well as sup- porting animals and humanitarian causes. Beth Shaw is the president and founder of the world renowned YogaFitTM training systems and the author of YogaLean. As the creator of the largest yoga school in North America, Beth has helped thousands of people get in shape and sustain a healthy weight. She and her company have been featured in O: The Oprah Magazine, Time, More, Entrepreneur, Yoga Journal, Glamour, Self, and USA Today, as well as on CNN, NBC, CBS, Showtime, and E! Entertainment Televi- sion. She divides her time between Beverly Hills, California and New York City. For more information on Beth Shaw, visit www.BethShaw.com.